I love my juicer . Ever since I bought it, I have been juicing every morning. I feel great. The other day, I bought a huge watermelon from Sprouts. So I decided to make this punch. The taste of watermelon instantly takes me back to summer BBQs when I was a kid. My parents used to have big summer parties and watermelon was always a staple. 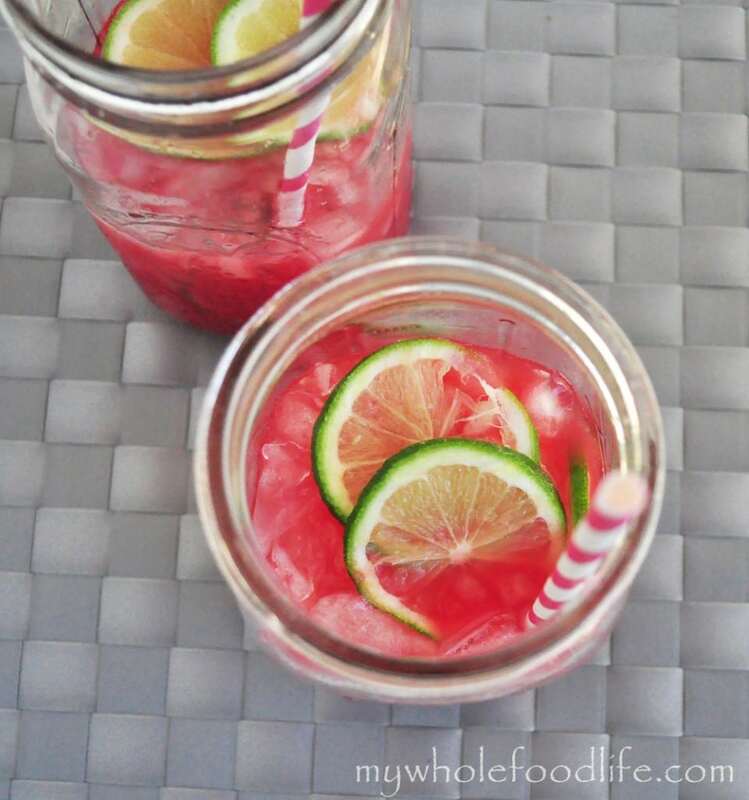 Juice or blend the watermelon and then add in the lime. Add a little lime at a time until you get it to your liking. My batch made a pretty small amount. About enough to fill a large mason jar with no ice. If you are making this for a party, I would suggest doubling the batch. It should keep in the fridge for at least 4 days. Enjoy! This does look refreshing. Does having the juicer save a lot of time as opposed to using your Vitamix? Right now that's all I have. A juicer just extracts the juice and gets rid of the pulp. A vitamix would work fine, but you would have to strain the juice out. You could just leave it chunky like a smoothie too! I know! We actually made one with mint a couple weeks ago. It was good! Cucumber too. I have a Vitamix and I would not strain the resulting "juice", just run it a bit longer, especially if you have added the water. I like it a bit thicker than just juice but that is me! Yes, I agree it would work well either way. It would almost be like a watermelon slushie! I love watermelon! This punch sounds perfect for a hot summer day! This looks so summery, sounds delicious! I love the picture too, pinning this to try at my next bbq! Do you have to pick the seeds out of the watermelon before juicing? Or do you just use seedless varieties? Thanks! I use the seedless ones. They are not GMO, rather cross bred to be seedless. Awesome! It didn't last long here either! This looks great! Do you think any liquor would go well in it to make it a cocktail? Thanks! Yes! I would mix it with vodka or rum. Curious, when juicing watermelon do you keep any of the rind on? I don't. I am not sure if you can keep it on. Your drink sounds perfect for summer!. I recently posted something similar since I don't have a juicer put it all in a blender. Thank you! It also makes a great popsicle for the kids! Great summer drink. Especially when watermelons abundant this time of year. 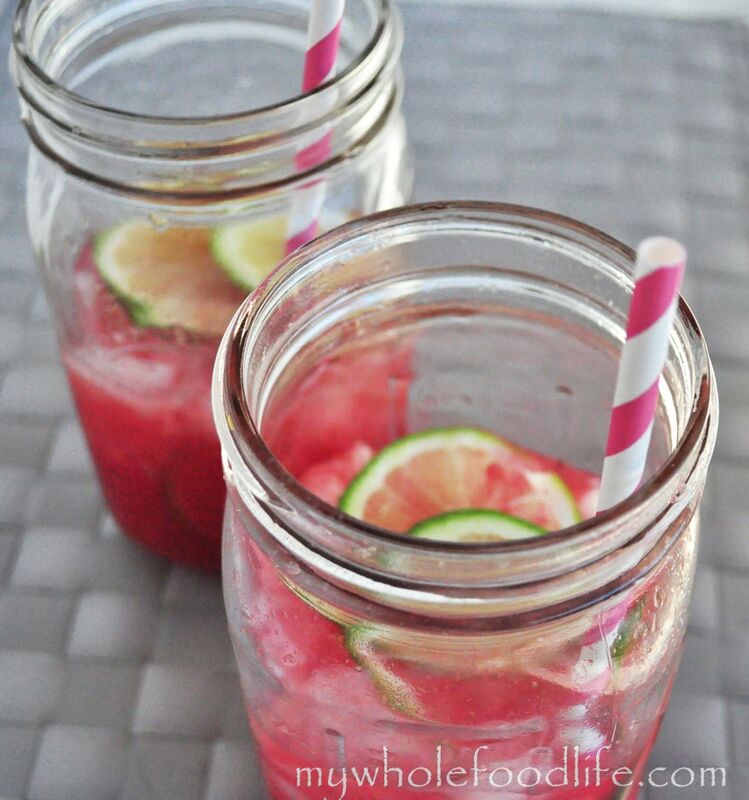 I make a similar one with the melon and lime but I add frozen strawberries and coconut water. Yum! That sounds good too. Do you have to use mineral water? You can probably omit it if you like.